Carolyn Parry, Multi award-winning career coach, speaker, and changemaker. Whether you work in private practice where clients want results fast, or in an organization where interventions are getting shorter and management targets and expectations increase, we are all seeing an increase in under-confident clients coming through our doors. 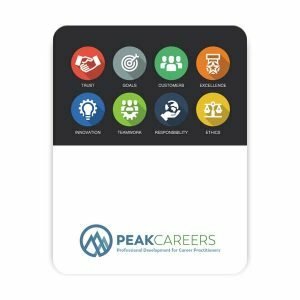 This advanced-level LinkedIn Train-the-Trainer webinar is designed for active and avid Linkedin users working in the career development field. How can we encourage clients to grow their online presence? What additional opportunities does the upgrade of Linkedin’s video function offer? Will you recommend your clients use Linkedin’s voice messaging? Do you think you’ll be giving Linkedin Kudos? – Are your clients sending a consistent message out to future employers? – Do you have clients who struggle with identifying their 5-6 “essential skills” they bring to the workforce? 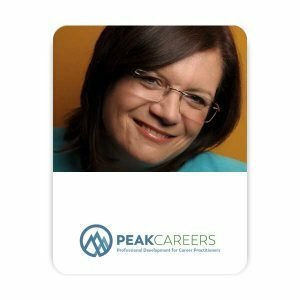 In this 45 minute webinar, I will present three (3) ways to “pull out” your clients’ skills, traits, interests, and passions. In this webinar I explore 3 ways that you can work with your clients to help them create a value-added statement. Similar to an elevator pitch, a value-added statement focuses on the strengths, passions, and value the client brings to the workforce. (I find an elevator pitch feels more memorized).